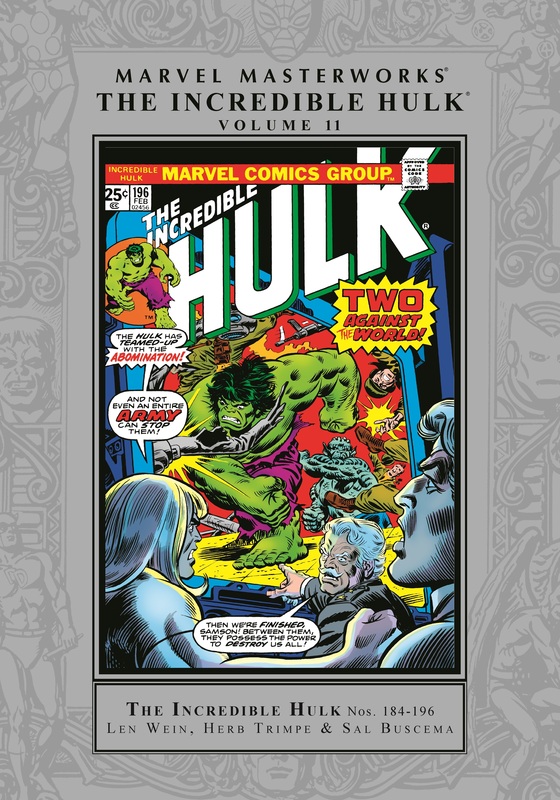 Collecting Incredible Hulk (1968) #184-196 and material from Giant-Size Hulk (1975) #1 and Marvel Treasury Edition #5. Hulk is the strongest! Why? Because it's hard not to be when you go from strength to strength with artists Herb Trimpe and Sal Buscema! 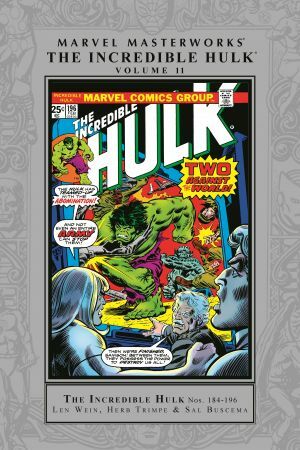 Trimpe defined the incredible Hulk in an artistic tenure stretching from 1968 to 1975. When Sal Buscema took over the reins, not only did the series gain a great talent, but one that, unbelievably, would have a tenure longer than even Trimpe's! 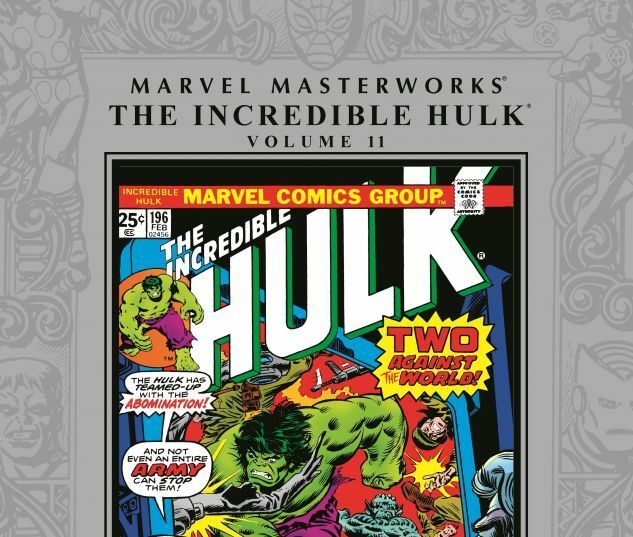 Add to that Len Wein writing some of his greatest Hulk stories and you've got a bona fi de Marvel Masterworks! The adventures include Hulk smashing his way through the Mole Man, the Gremlin, the Shaper of Worlds, Doc Samson, the Abomination...and, of course, the never-ending military machinations of Gen. "Thunderbolt" Ross!